If you’re looking to bring your yard to life, DEKOR®’s diverse collection of landscape lighting is your answer. With illuminating solutions for nearly every yard, garden, pathway, and beyond, you can always find your perfect shine. Explore our low-voltage LED pathway lights and garden lights to discover your yard’s next shining addition. And with DEKOR®’s unrivaled warranty, you can rest easy knowing you truly have landscape lighting for life. 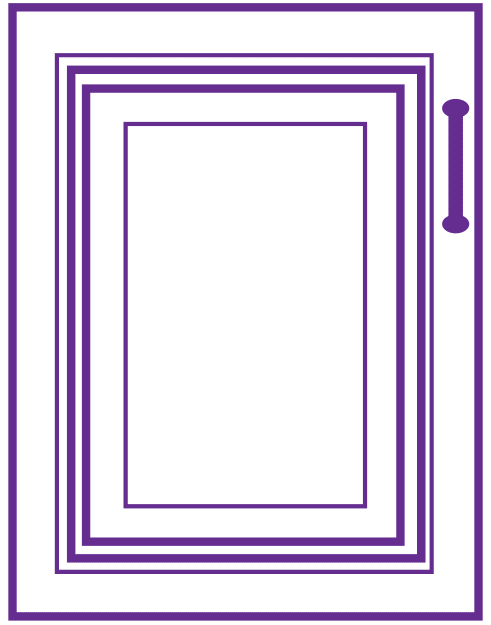 Because all of our LED under cabinet lighting is designed to fit snugly in your kitchen, bathroom, and beyond, you don’t have to worry about it getting in the way. When off, your kitchen under cabinet lighting is out-of-sight and out-of-mind, allowing you to have complete access and ease of use in every space. And when on, your home lights up with a warm ambiance that can’t be rivaled, all while strategically concealing the source of the shine. The reason why we keep saying our under cabinet lighting is perfect for your kitchen, bathroom, and beyond is because it really can find its home in any space. Use our products as kitchen under cabinet lighting that increases visibility and safety, bathroom lighting that adds charm and appeal, shelf lighting that showcases your prized possessions, and even truck bed lighting that lights up the night. With the DEKOR® LED Under Cabinet Lighting collection, you can do it all. With any and every DEKOR® lighting product, we always make sure to create a customizable system that allows you to control your lighting the way you want. The White In-Line Motion Activated Light Controller with Photocell is strategically designed to blend into your cabinetry effortlessly. By using motion-activated sensors, your kitchen under cabinet lighting illuminates when movement is detected, saving you time and energy. Or, if you want a multifunctional lighting control for all of the DEKOR® lighting in your home, the EZ Motion Controller allows you to designate lighting zones, adjust dimming settings, and integrate motion-sensing capabilities into your lighting with the click of a button. All DEKOR® Lighting products are conceptualized, crafted, and completed in the USA, at our very own factory in Denver, Colorado. 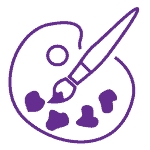 By implementing a homegrown stance, we stand out among our competitors by having complete control over every step of the production process. When a new product idea is born, we’re able to innovate and diversify the shape, size, and function of every component because we’re the ones creating the products ourselves. And since we source our product parts in the USA, we can choose the most premium raw materials. Then, when it comes time for product assembly and development, we’re able to implement cutting-edge processes with real experts on hand to create each LED under cabinet lighting product. Our exclusive partnership with Cree LEDs ensures that all of our under cabinet lighting produces a stunning shine without producing excessive energy usage. By conserving your energy usage up to 80%, your DEKOR® kitchen cabinet lights will help you save on energy bills without losing luminosity. With Cree LEDs, you’re guaranteed a dazzling 50,000 hours of shine, ensuring your home will stay glowing for years to come. And, if the classic LED shine isn’t bright enough for you, our NextGen LEDs increase brightness by a whopping 300% without spiking your electric bills. 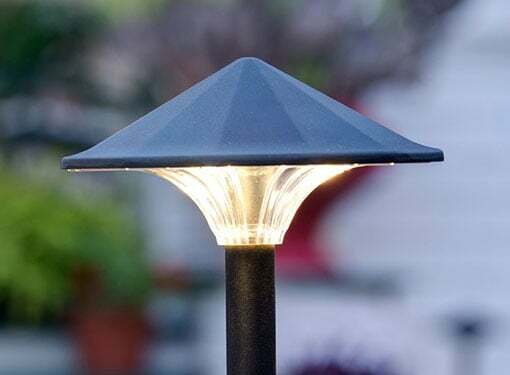 All of our aluminum landscape lighting is offered in a variety of powder-coated shades, with dimensional finishes ranging from oil rubbed bronze to gloss black. By consistently offering integrated and diverse powder-coated metal shades, you’re not only able to match your landscape lighting to other DEKOR® products, but to your home’s overall color scheme and theme. That way, you can effortlessly blend our shining solutions into your home without disturbing your dream design and setup. DEKOR®’s Landscape Lighting is designed for you, plain and simple. If the stunning shine of our Cree LEDs is too bright for you, or if your lighting intensity preferences change day-to-day, you can easily adjust the brightness using an EZ Dimmer, EZ Wifi Controller, or other dimming accessories. With the simple click of a button or swipe of a finger, you can find the ideal setting that makes your yard truly shine. The EZ Wifi Controller is included with the EZ YARD DOT Kit, and can be purchased separately as well. All DEKOR® dimmer products are designed to accompany any DEKOR® lighting product with a simple connection between the EZ transformer and Plug-N-Play™ wiring. All of DEKOR® Landscape Lighting harnesses the power of our patented Plug-N-Play™ technology, making it easier than ever to add dimension and glow. There’s no need to cut or strip wires with Plug-N-Play™, or even track polarity. With Plug-N-Play, simply connect each male connector to its adjoining female side, creating a lasting connection that’s sure to shine. Ideal for DIYers, beginners, expert technicians, and everything in between, Plug-N-Play™ technology was made to give anyone the power to make their home shine with DEKOR®. The DEKOR® Difference is realized by simply seeing a DEKOR® product up close and personal. When your DEKOR® Landscape Lighting arrives at your doorstep, you will see the labor of love we put behind each and every product. Made with die-cast aluminum, heavy-duty polycarbonate, and waterproof housing, our diverse Landscape Lighting collection doesn’t cut any corners on quality. 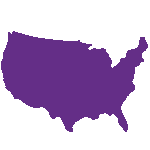 And the finishing touch on every aluminum product is our powder coating processes, made just around the corner at Mile High Powder Coating, which we also own and operate. By starting each production process with premium materials and ending with our very own durable powder coating, we ensure every product that leaves our facility is made to last. DEKOR® Lighting sets itself apart in the lighting market for one simple reason: we make everything ourselves, right here in the USA. 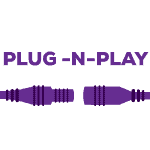 We’re the designers, strategists, technicians, developers, assemblers, packers, and customer care experts. When you choose DEKOR®, you choose a team based out of Denver, Colorado, with one primary goal: delivering innovative products with premium quality, passionate customer service, and lasting shine. If you encounter an issue or concern when installing your DEKOR® Landscape Lighting, give our customer service team a call. Sitting right next to our factory and production team, they can guide you through any product issue, because they’ve dealt with it themselves. “Duane, Had to take a second to write you about the new Radiance landscape lights … they are AWESOME!!! Illuminate your yard like never before with DEKOR®’s shining collection of pathway lights that add ambiance, visibility, and security to any space. Discover our newest release to the pathway lights collection, including our Mushroom Pathway Lights, Well Pathway Lights, and Stepped Mushroom Pathway Lights. For low-maintenance homeowners, our stress-free EZ YARD DOTs complete any pathway with ease and accessibility. Or, choose our adaptable Ginny Landscape Light, which doubles as both pathway lights and garden lights, depending on the lighting angle. All DEKOR® Landscape Lighting is backed by our industry-leading warranties. The Mushroom Pathway Light is our unique take on classic pathway lights. By designing the light with a classic dome shape, the brilliant Cree LEDS cast a striking shine that smoothly cascades from the dome, filling the air with a warm, ambient glow. Ideal for lining stone, wooded, and cement pathways, the Mushroom Pathway Light was designed with the added convenience of Plug-N-Play™ technology. Create a custom connection of pathway lights by simply plugging each male cable into its female counterpart, creating the ultimate lighting experience. Choose from our 6 classic powder coating finishes, including the dimensional Oil Rubbed Bronze and Brown Speckle. The Stepped Mushroom Pathway Light takes the classic light a step further. By adding smooth and refined lines around the dome top, the mushroom shape is transformed into a dimensional piece for not only illumination, but decoration. Incorporate your favorite accent colors by choosing from one of our 6 classic powder coating shades, designed to stand the test of time. This brand new addition to the pathway lights realm was developed for those looking for a classic shape with a contemporary twist. This dimensional creation illuminates any outdoor pathway, adding elegance, charm, and innovation. The Well Pathway Light is our newest compact creation with full-force shine. 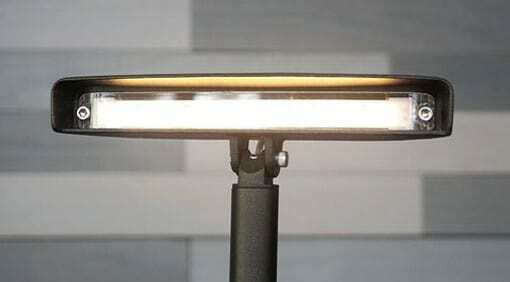 Adding to the compact lighting category as well as pathway and garden lights, this tiny light has unmistakable impact. 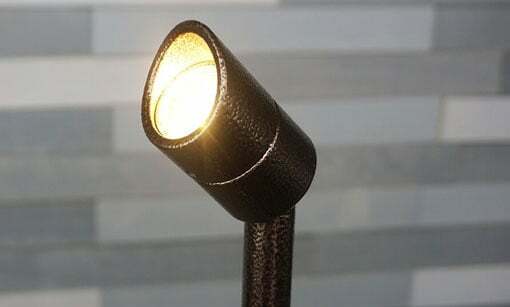 This multi-functional light is small enough to find its home under a tree, in a garden, on a lawn, or along a pathway. 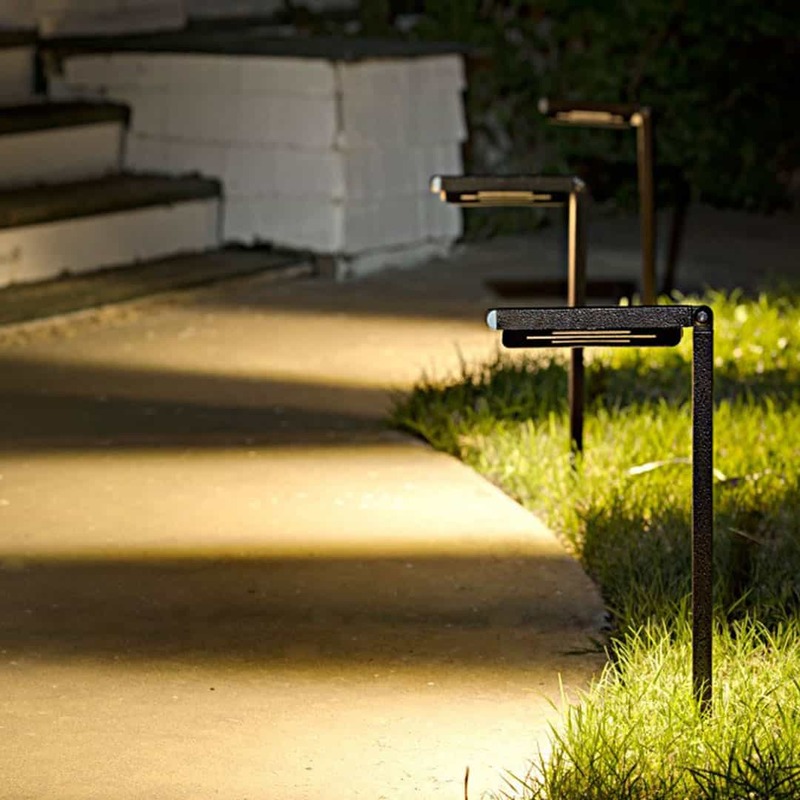 These small-scale LED pathway lights are made with aerospace-grade aluminum and long-lasting powder coating, ensuring these tiny additions will keep your home shining through the years. With a spike embedded on the bottom of the component, this Well Pathway Light illuminates any yard with a simple, tool-free installation and a little elbow grease. Choose from our 6 classic powder coatings, all backed by our unwavering 30 year warranty. DEKOR®’s EZ YARD DOT Kit revolutionized the landscape lighting game, introducing a simple and straight-forward way to achieve pathway lights that can be embedded into the ground itself. EZ YARD DOTs are the ultimate ground effect edge landscape lighting, ideal for lining driveways, walkways, patios, and pathways with a one-of-a-kind shine. Made with an industry-grade polycarbonate cover that will not rust, crack, or yellow with age, EZ YARD DOTs were designed to stay shining for years to come. Installing EZ YARD DOT Pathway Lights is as easy as 1-2-3. Determine where you want your lights and clear an area next to the hardscape for the cables. Push or pound in the EZ YARD DOT in the ground, using a mallet if needed. 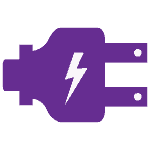 Connect the next adjoining cable to the component by plugging it in, and repeat with each unit. 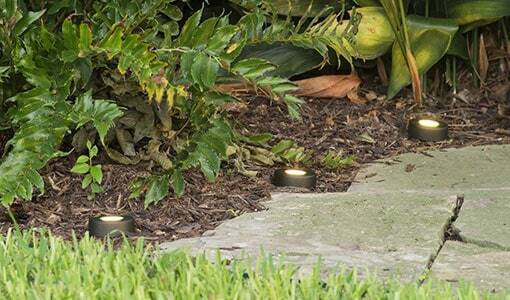 EZ YARD DOT Pathway Lights are available in a complete kit, as well as expandable 4 packs. The EZ YARD DOT Kit includes 8 EZ YARD DOT LED components and their adjoining Plug-N-Play™ 10’ or 20’ cables, an EZ transformer, transconnect cable, and splitter. But, if you really want to elevate your landscape lighting experience, the EZ YARD DOT Kit is exclusively offered with the EZ Wifi Controller, making for the total package. On top of the EZ YARD DOT Kit contents, the pathway lights include the EZ Wifi Controller, which gives you the power to control your lighting right from your phone. 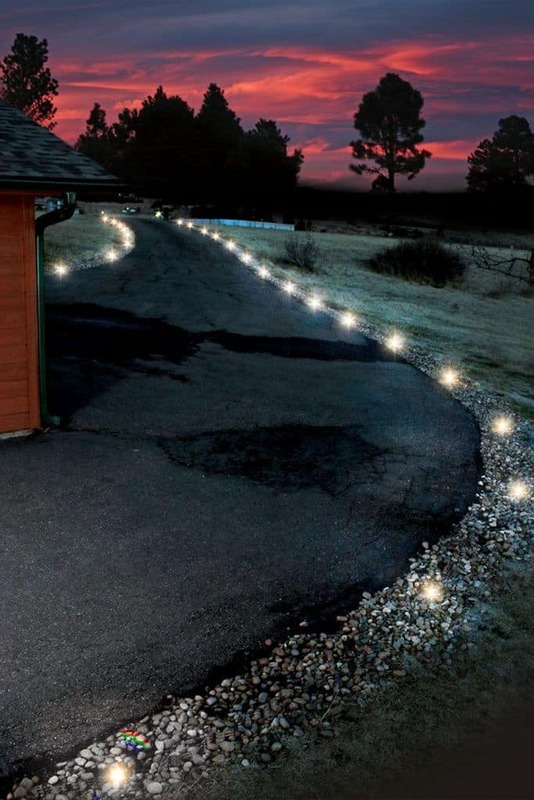 To discover the endless possibilities that lie ahead for your pathway lights, choose EZ YARD DOT. The Ginny Landscape Light is a unique addition to the DEKOR® Pathway Lights collection, being that it extends far beyond the limits of pathway lights. With innovative design and unmatched versatility, these pathway lights double as garden lights with their 180º swiveling head. With 180 degrees of positioning possibilities, you can shine a light on your pathways, lawn, garden, trees, deck, or home itself. Bend the Ginny fully back to illuminate your favorite tree, angle it completely down for one-of-a-kind pathway lights, or position it anywhere in the middle for distinct accent landscape lighting. With a waterproof powder-coated housing available in 6 distinct and classic shades, you can smoothly integrate these pathway lights while adding style and flair. With DEKOR®’s state-of-the-art LED controllers, it’s never been simpler to create a one-of-a-kind landscape lighting experience. Choose from the EZ Wifi Controller and App, or the EZ Motion Controller+ PIR Sensor. The EZ Wifi Controller gives you the power to control your landscape lighting right from your smartphone using our handy DEKOR® app. Designate landscape lighting zones, adjust dimming, schedule lighting, and more with the EZ Wifi. If you’re looking for adaptable lighting control with the added advantage of motion sensing, the EZ Motion Controller+ is your illuminating solution. With a cutting-edge PIR sensor that helps you save energy, time, and money by detecting motion and activating your landscape lighting, you can truly have it all. With our handheld EZ Motion Controller remote, you can setup specific lighting zones, adjust motion sensitivity, schedule dusk-to-dawn light settings, and beyond. If you’re looking to let your outdoor garden bloom with shine and sparkle, our versatile and dimensional LED Garden Lights achieve all that and more. 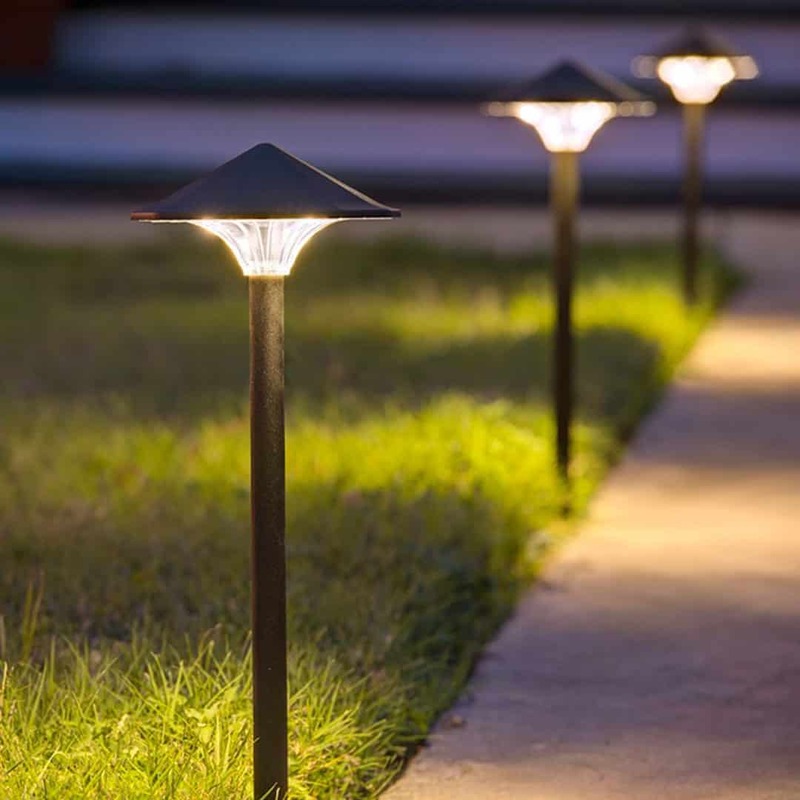 Choose from beaming spot lights that highlight the beauty of your yard, puck LED garden lights that can be smoothly camouflaged, and high output lights that leave a lasting shine. 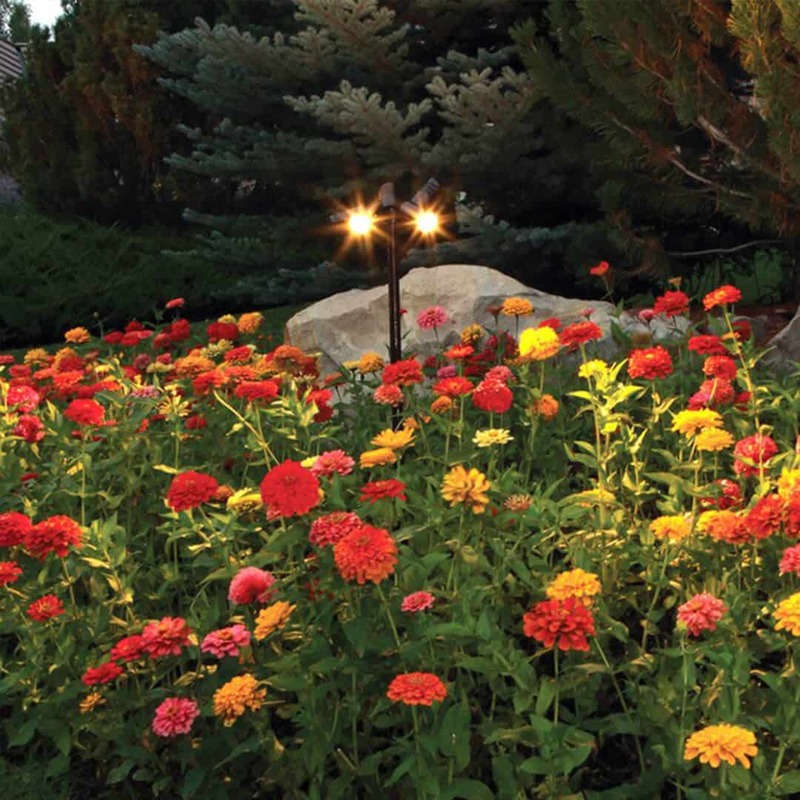 DEKOR®’s newest adaptable garden lights, the Telescoping Spot Light, fuses stunning shine with versatile value. With a wide range of angles, positions, and lighting effects to choose from, find your ideal glow by simply turning the garden light’s swiveling head. Serving as uplighting, downlighting, accent lighting, and beyond, the Telescoping Spot Light was designed to shine a light on anything and everything. These adaptable garden lights are available in 6 powder coated colors, elevating the customization possibilities even further. Our newest garden lights use the latest generation of Cree LEDs, cutting down the energy bills while amping up the shine. Our Landscape Multipurpose Light is another addition to the garden lights collection, combining many of our pioneer product forms and functions to become a universal solution for all. 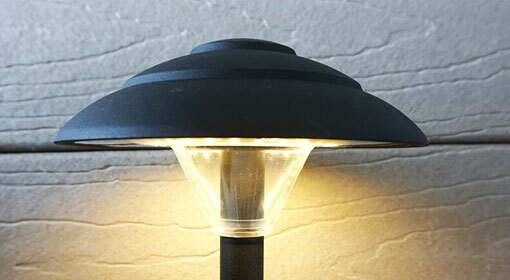 With a simple, yet graceful form, this powder-coated aluminum fixture adds ambiance, warmth, and security to any yard. The powerful Cree LEDs cast an inviting white glow, adding dimming possibilities with the addition of our EZ dimmer and accompanying accessories. Illuminate your sidewalk, pathways, garden, wooded areas, and beyond with Landscape Multipurpose Garden Lights. 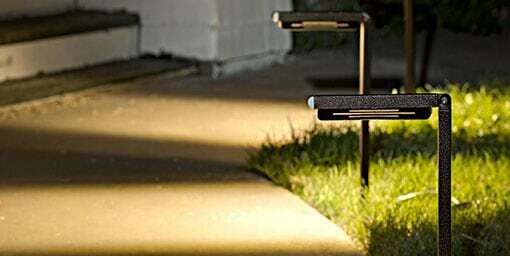 You may have heard of the Ginny Landscape Lights as an illuminating solution for pathway lights, but have you seen theme used as garden lights? With its 180º swiveling head, the Ginny is designed to match your creativity. Giving you the power to illuminate any element of your garden, from towering trees to blooming flowers, the Ginny adapts to fit your home. Made with aerospace-grade aluminum and structural welds at key locations, the Ginny is a robust lighting component with undeniable quality thats made to last. The Radiance Landscape Light is considered the flagship of our landscape lighting collection, lighting the way to invention, innovation, and improvement. 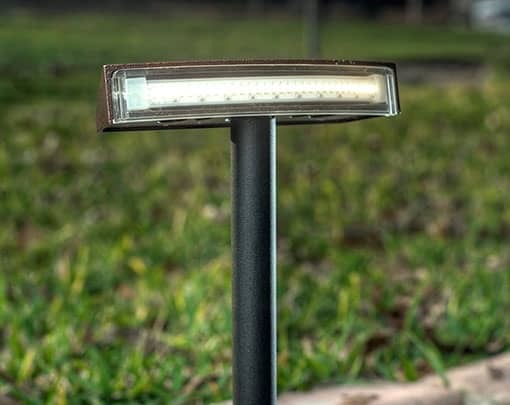 With the ability to project a radius of light like never before, these garden lights are a versatile solution for any yard, patio, garden, and beyond. The Radiance sets itself apart from other garden lights on the market with its 180º swivel and 120º beam radius, giving you countless options for lighting effects and projections. 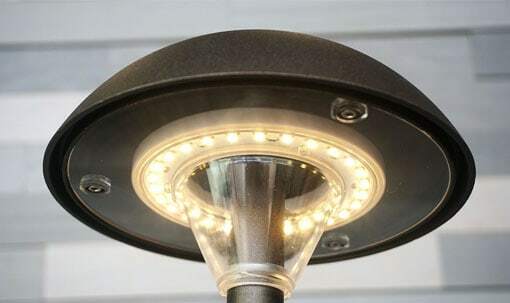 Featuring CREE LEDs high output SMD LEDs which are 25% brighter than their classic LEDs, your garden lights will produce a powerful beam while remaining ultra-efficient and long-lasting. Make your garden lights effortlessly integrate into your home’s design by choosing from our collection of 6 powder-coated finishings. Use Radiance garden lights as a stand-alone shine or in combination with our deck lighting and landscape lighting collection to create dimension and depth. Considered the crown jewel of our landscape lighting collection, the Empress light is sure to leave a lasting shine for all to see. These accent LED garden lights enhance and elevates any space, creating a warm white glow with ease and accessibility. Available in 6 powder coated colors that complement your home’s decor and style, you can create a customized garden lights experience. These low-voltage garden lights are traditional in form, but contemporary in setup. With a diamond-faceted structure designed to shed water, your garden lights will avoid water accumulation and rust for years to come. And, the transparent Lexan shield prevents bugs, dirt, and water from building up and blocking the shine. With 3 groups of 4 LEDS strategically arranged to create a full 360º of light, your Empress garden lights are sure to impress and intrigue. These small, but mighty garden lights pack a stunning shine in a compact creation. Measuring only 1.7” in diameter and 3” in length, the High Output LED Landscape Spot Light produces an incredible 500 lumens of light. Built using CREE’s second generation XLAMP technology, this energy-efficient illumination shines using 82 individual LEDs on a single chip. With a fully rotational articulation, adjust the angle of your garden lights a full 130º from its pivot point, and an additional 45º in both directions to find your perfect shine. Designed with robust construction, cutting-edge innovation, and user-friendly installation, the High Output garden lights are a shining example of DEKOR®’s mission at work. With beginner-friendly Plug-N-Play™ technology, robust housing, and compact sizing, the Puck LED Landscape Light is uplighting made easy. 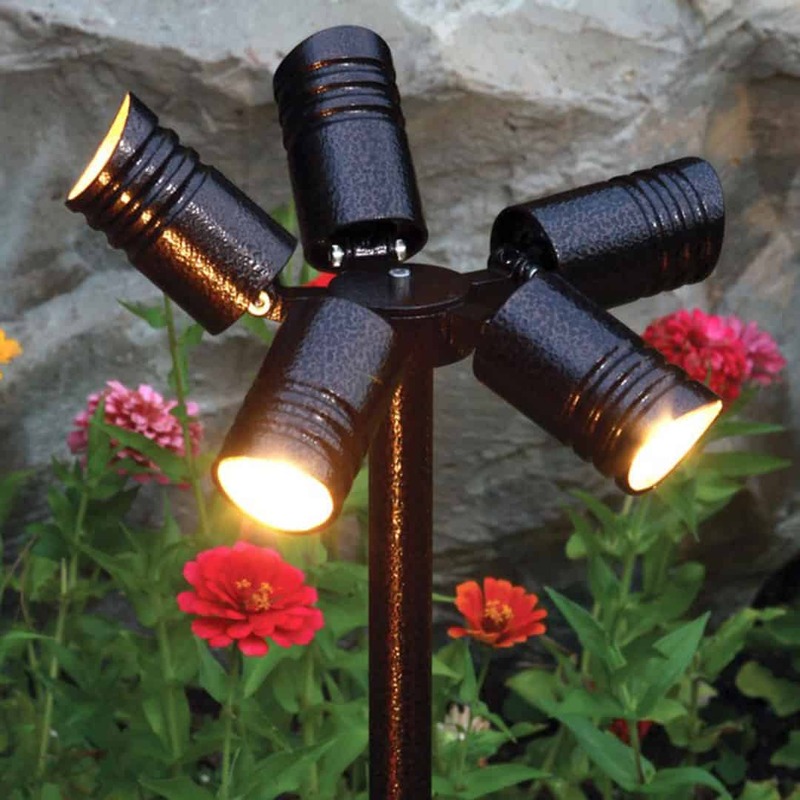 Because all DEKOR® products are made with authentic processes and heavy-duty materials, these garden lights are solid and stable enough on their own to stand strong on any yard surface. 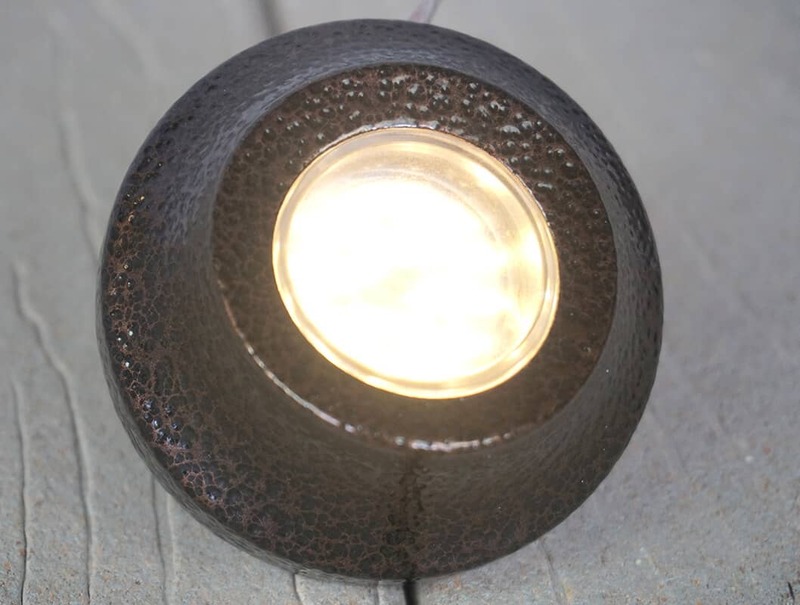 From mulch to grasses to stones, simply slide the compact puck garden lights onto any surface to start shining in no time. Choose from 6 natural powder coating finishes to accentuate any home design. Our Spot Gang Landscape Light is a one-of-a-kind creation. With 2 or 3 lighting modules shining from the aluminum housing, you can spotlight multiple elements of your home with the cascading LEDs. But, these versatile garden lights were designed to support up to 5 modules or light heads themselves, extending the lighting possibilities and shine. Each light housing is fully directional, with a 130º articulation from its pivot point, as well as a 45º rotation in both directions. 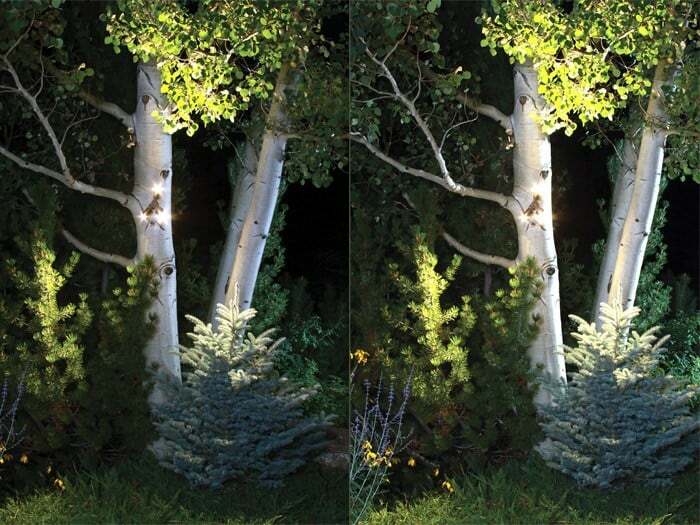 Adjust and direct the dimensional garden lights to your ideal lighting angle, effect, and shine. With second generation XLAMP technology, a whopping 82 individual LEDs are packed in a single light, providing a gorgeous glow for all to see. The Spot Gang garden lights are offered in 6 classic powder coating finishes that stay polished through heavy rain, snow, ice and sun. All LED garden lights are backed by our 5 year / 30 year warranty, as is all LED landscape lighting. DEKOR®’S Tree Gang Landscape Light is distinct from other LED garden lights in our collection because it’s designed to be embedded within a tree itself. Adding a unique glow that completes any natural surrounding, these unique garden lights seamlessly blend into your home’s foliage. Add a dimensional glow that raises the realm of light above the ground with the Tree Gang Landscape Light, and choose from 2 or 3 light modules, or heads, which cast the shine. If you’re looking to amp up the glow, the Tree Gang Landscape Light can support a total of 5 light modules, allowing you to custom-create your yard’s lighting experience. All DEKOR® LED landscape lighting is backed by our unwavering warranty, which protects you from flaws or errors in workmanship and design. All LED pathway lights and garden lights are backed by our 5 year / 30 year warranty. For 5 years, you’re protected in the case of defective or failed DEKOR® products when used with a DEKOR® transformer. And for 30 years, your powder coating is protected from cracks, splits, or tears in finish. The EZ YARD DOT, however, is protected for 10 years when used with a DEKOR® EZ transformer.